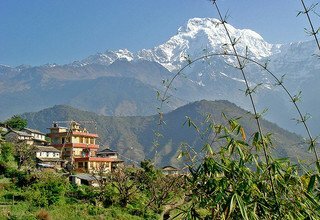 Annapurna Foothills Trek for families is a trek perfectly suited for families, where you can enjoy the astounding views of the Himalayas and create memories with your family in the lap of nature. 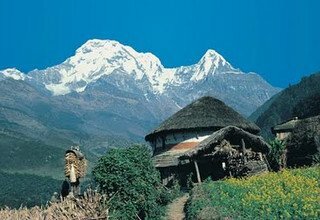 This 8 days trek takes you to several Gurung villages hosting breathtaking panorama of the Annapurna massif, giving you a thrilling cultural and natural experience. 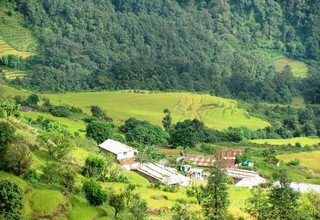 As it is an easy trek, people of any age can go for this trek, hence making this an amazing opportunity for you to conquer the Himalayan foothills with your family. 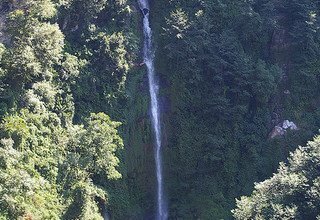 The trail of Annapurna Foothill Trek passes through many natural wonders. 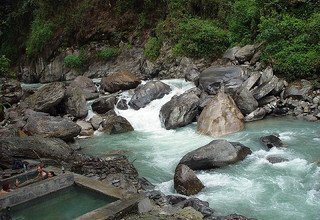 You will enjoy the gushing rivers, waterfalls, and oak rhododendron forests. 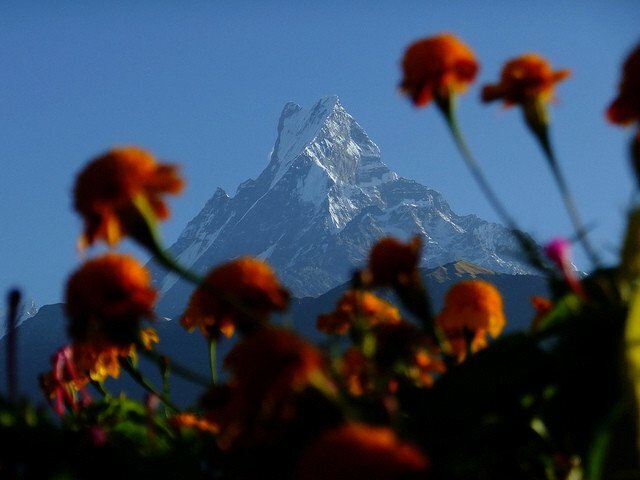 The breathtaking views of the Himalayas will be a sight you and your children will cherish throughout life. 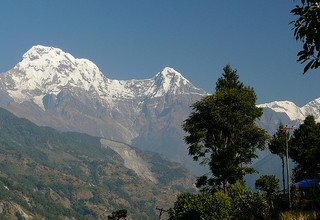 The panorama of Annapurna massif and Machhapuchhre (6993m) seen throughout the trek will be the motivation factor for each step you and your family take. 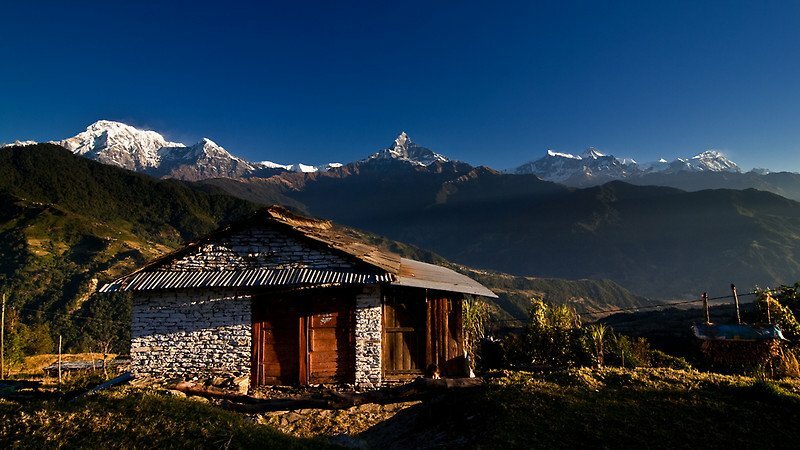 At 1940m altitude, Ghandruk is the highest point of the trek, and it is certainly the best part of the journey. 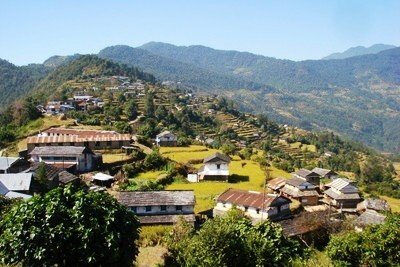 Along with the amazing view from this point, Ghandruk village also has a huge cultural significance. 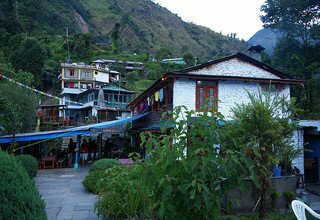 Visiting the old Gurung Museum takes you to the ancient times, and you can get dressed up in their traditional attires too. Your children will certainly look adorable in small Gurung dresses. 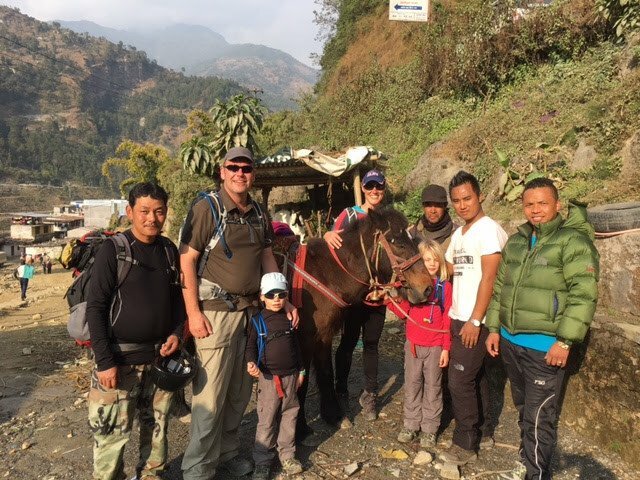 Apart from this, experiencing the lifestyle, tradition, and daily chores throughout the trek can be a different yet memorable experience to you and your children. 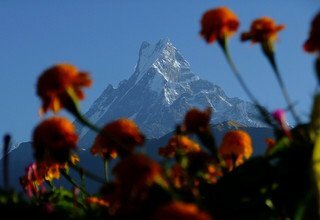 Encourage your child to interact with the children of the Himalayas. 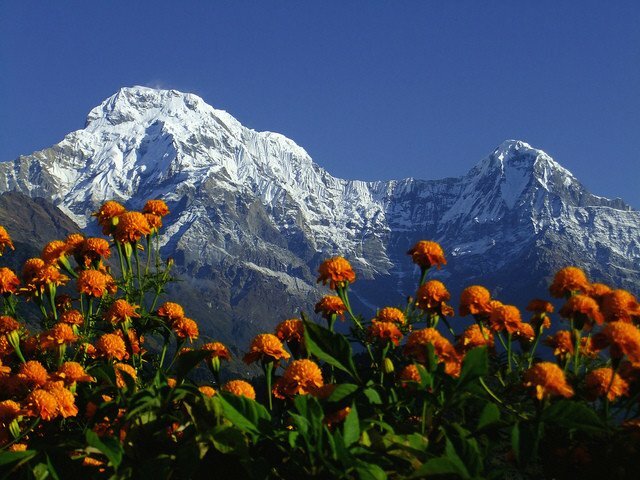 The best time to trace the Annapurna foothills is during the spring and the autumn seasons as well as winter seasons. 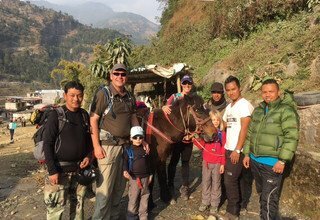 Swiss Family Treks and Expedition has been successfully organizing family treks and tours in Nepal over the last 15 years. We believe there is no bond stronger than that of a family and traveling together is the best way to strengthen that bond. 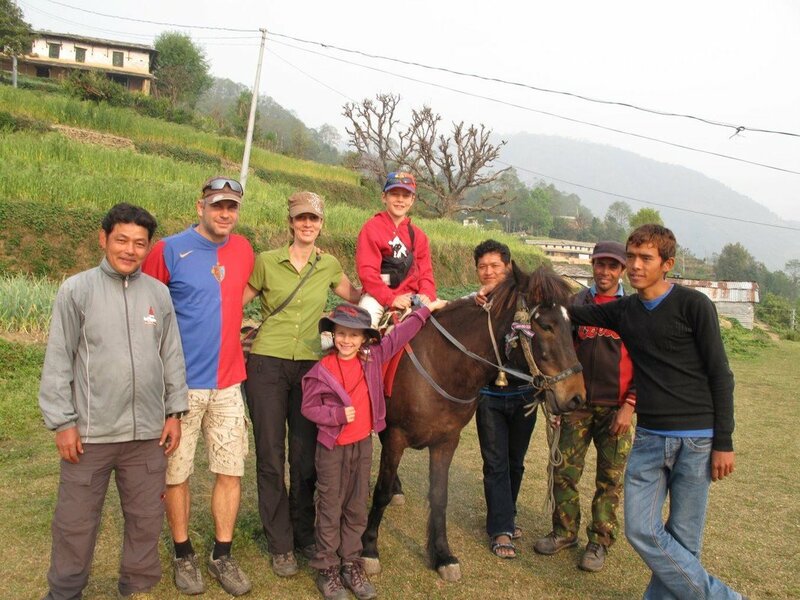 For all our family treks, we provide you with a porter to carry your child below five years of age, and for children above five, you can hire a pony in advance. We assign you a child-friendly English speaking guide and accommodate you in family-friendly lodges. 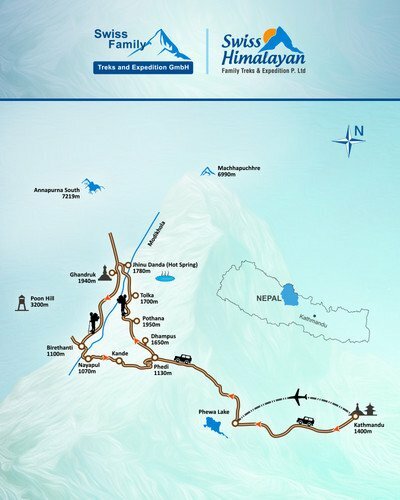 Highlights of the Trek: Exploring the Kathmandu city and its heritage sites, Panoramic and closed views of Annapurna massif, explore in the valley, unobstructed sunrise and sunset view, pictureaque villages, experiencing with life style and culture of Gurung people who is very famous for Gorkha arm, walking in the narrow and stone paved trail, ancient Monastery, old tradition Gurung Museum, waterfalls, scenic mountain flight to and from Pokhara, explore lake city of Pokhara, walking through dense Rhododendron forest and even more beautiful in Spring and hot spring. On your arrival in Kathmandu, our company representative will pick you up at Tribhuvan International Airport. We ensure you a comfortable drive from the airport to the hotel. You can visit nearby places in the evening to get a feel of Kathmandu air. Overnight at a 3-star hotel in Kathmandu. 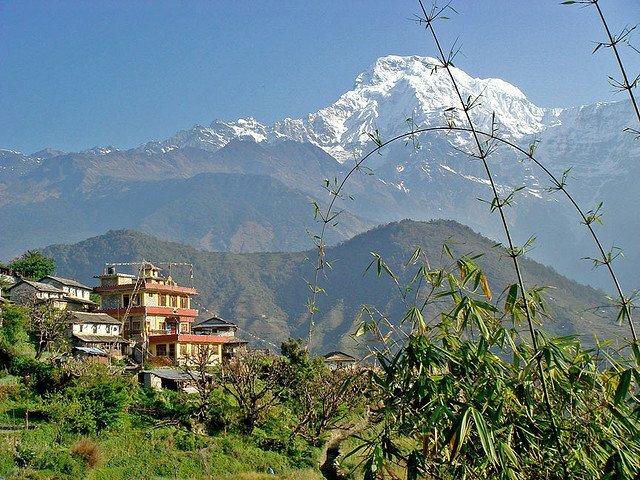 On the second day, you will fly from Kathmandu to Pokhara, which takes about 25 minutes. 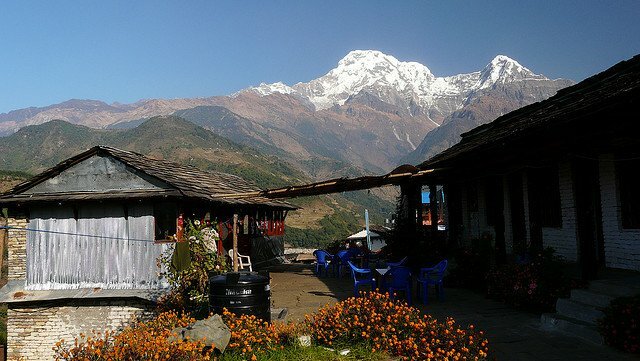 From Pokhara, the city of lakes, you will drive to Phedi which takes about 1 hour. 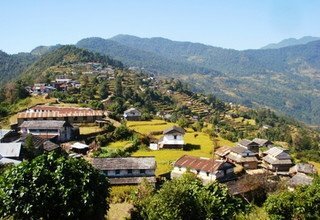 The actual trek begins from Phedi as you walk for 3 hours to reach Dhampus village. 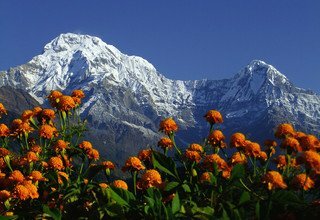 The walk comprises steep ascends, rhododendron forest, stone staircases, and beautiful scenery of the Annapurna Massif. Overnight in Dhampus. 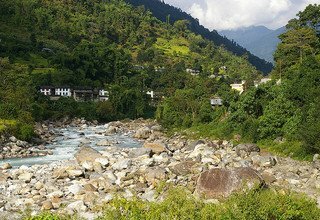 After spending a night in the beautiful Dhampus village inhabited by the Gurung communities, you will slowly head towards Tolka. The trek from Dhampus to Tolka passes through beautiful rhododendron forests blooming with flowers. Walking through the suspension bridges, you will cross Modi Khola and Mardi Khola. 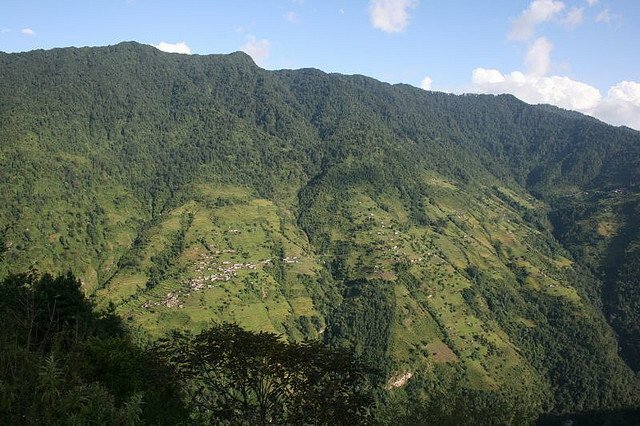 With a lot of uphill and downhill walks, you will reach Bheri Kharka, a Gurung village, before reaching Tolka. Overnight in Tolka. 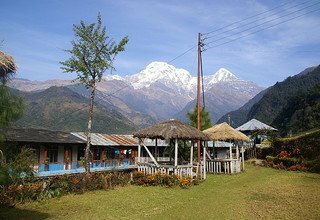 Enjoying the stunning views of the Annapurna massif, Dhaulagiri massif, Machhapuchhre (6993m), and other Himalayan ranges, you will head from Tolka to Jhinu Danda. The day has a lot of descending through stone staircases, which can be somewhat challenging. Thus, prepare yourself and your children physically and mentally. 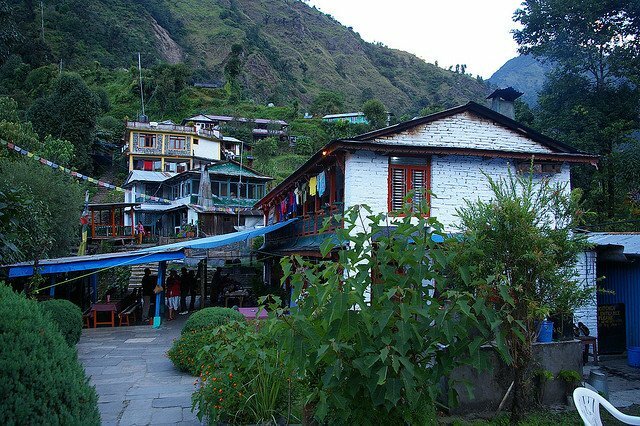 Passing through the Gurung village of Landruk can be an exciting cultural experience. 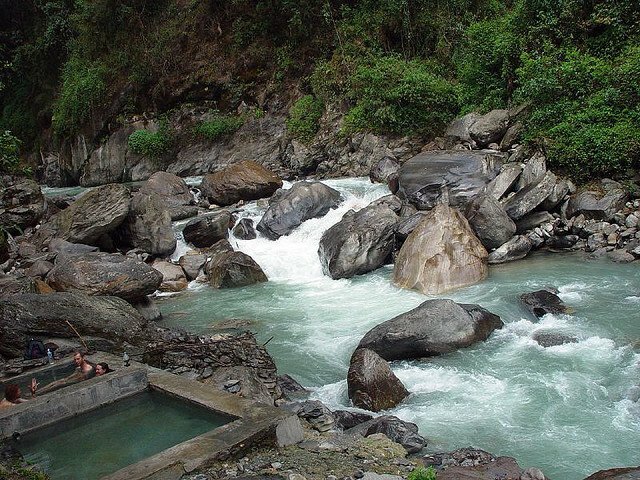 The trail includes other interesting places like the waterfall and the natural hot water spring in Jhinu Danda. After about 5 hours of total trek, you will reach Jhinu Danda, where you will spend your night at. 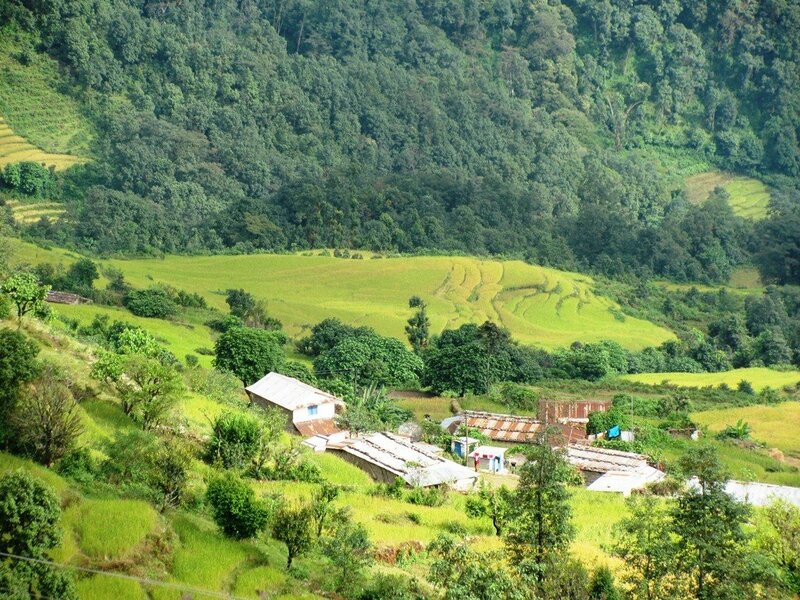 The day has 5 hours of the trek through beautiful landscape and astounding views. 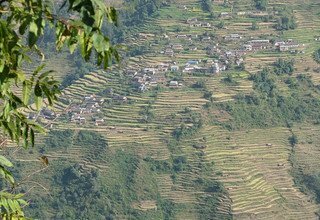 From Jhinu Danda, you first descend and then ascend towards a ridge giving you a clear view of Jhinu Danda and Chhomrong village. 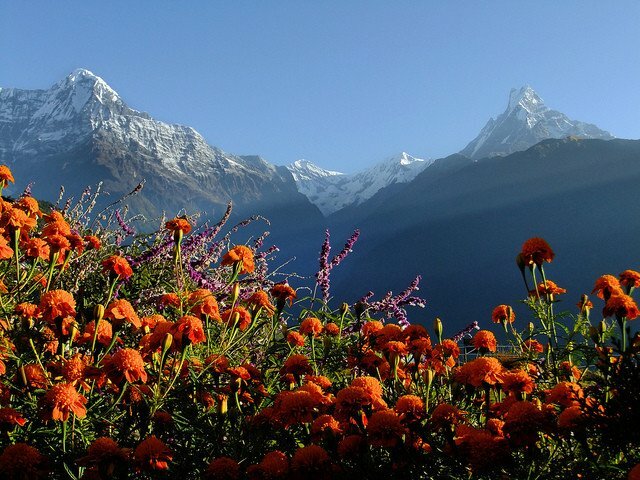 Passing through rhododendron forests, you will slowly reach Ghandruk. 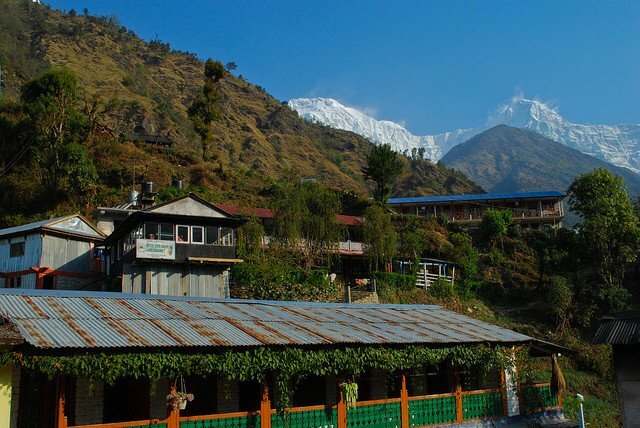 The beautiful village is the largest Gurung settlement in the Annapurna region, where you can enjoy Gurung lifestyle, architecture, and also dress in the Gurung attire at the Gurung Museum. 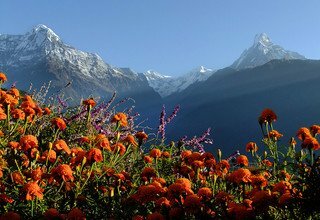 You will also catch an alluring panorama of Annapurna South (7219m) and Machhapuchhre (6993m) from your hotel in Ghandruk. 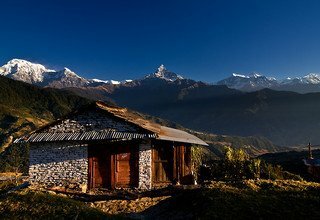 Overnight in Ghandruk. 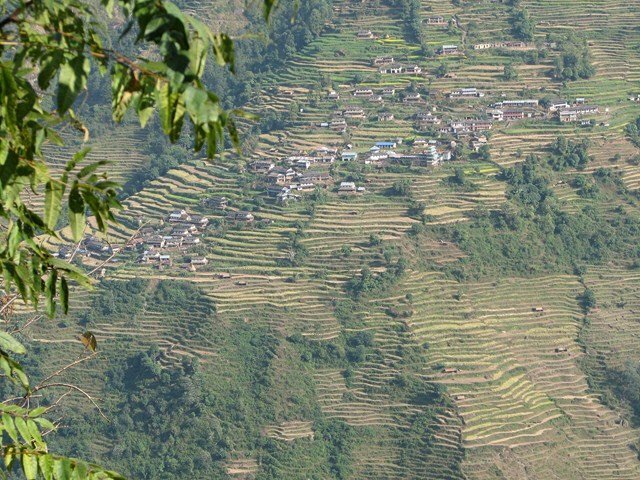 From Ghandruk, you gradually trace your way back, descending down the staircases. 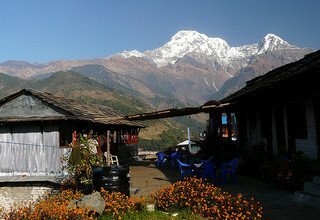 A short 2-hour walk from Ghandruk takes you to Syaulibazar. 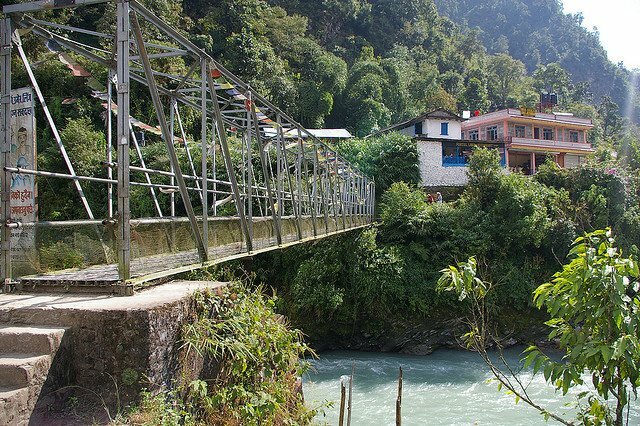 Then, the trail moves on dusty roads and you will also cross a suspension bridge over Modi River. 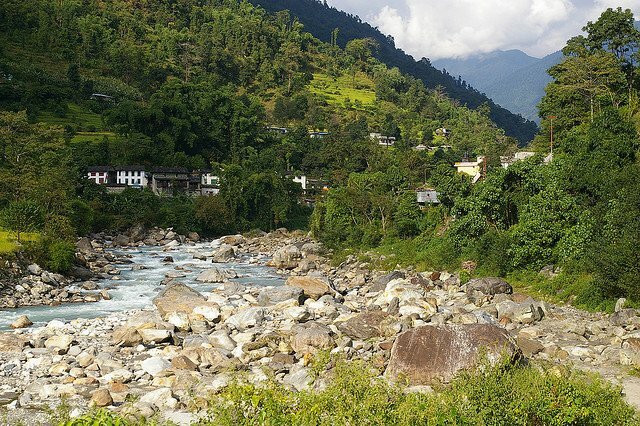 Passing Birethanti, you will walk 2 more hours to reach Nayapul. 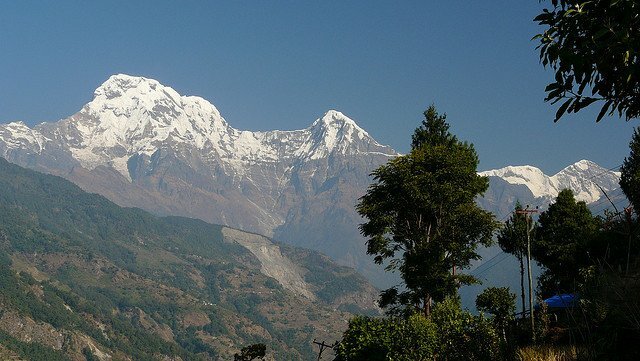 From Nayapul, a 2-hour drive will take you to Pokhara. In the evening, you can hang around the lakeside area enjoying the food and music of the lake city. Overnight at a 3-star hotel in Pokhara. You will leave to visit World Peace Stupa, early in the morning. After about 20 minutes’ drive from Lakeside, you will have to hike for about 20 minutes to reach the top of the stupa. The stupa is a synonym of peace and serenity, and you can also enjoy a breathtaking view of Pokhara city and Phewa Lake from the stupa. 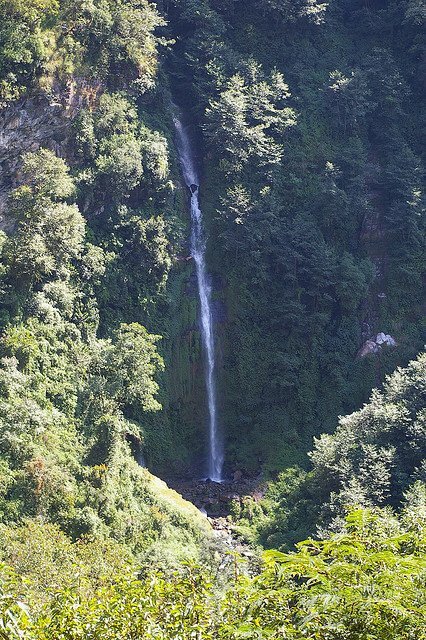 Then you will walk down through the forest to Phewa Lake for an hour and cross by boat to Lakeside. In the afternoon, you will fly back to Kathmandu. Overnight at a 3-star hotel in Kathmandu. On your day of departure, we will bid you a sweet goodbye. Our team representative will drop you to the airport for your safe journey back to your country. 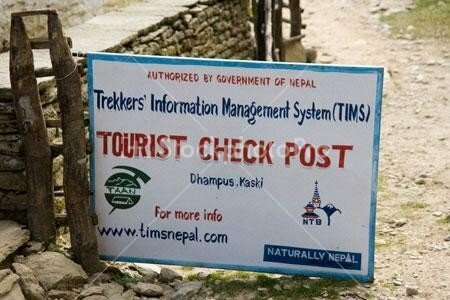 Note: Depending on the ages of children, they get discount in trek cost and domestic flight ticket cost accordingly. Also Horse renting in Annapurna Region is USD 75 per day per horse including horse man, his food, accommodation, salary and insurance. * Domestic flight ticket from KTM-PKR-KTM and airport tax. 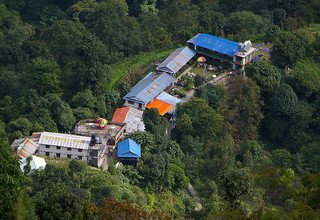 * 3 nights deluxe accommodation in twin bed sharing basis with breakfast at 3* Hotel Marshyangdi in Kathmandu and Temple Tree Resort in Pokhara. * 1 experienced, helpful and friendly guide, porters (1 porter for 2 peoples), their food & accommodation, salary, equipment & insurance. ** All transportation by private vehicle.